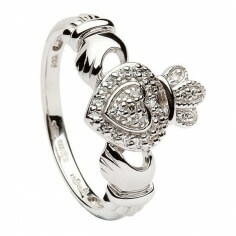 The women's Diamond Encrusted Claddagh Ring simply sparkles with delight. 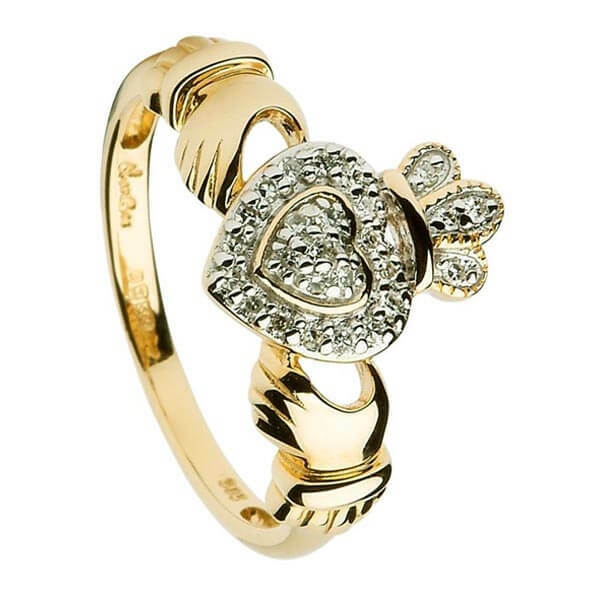 Diamonds are set within the heart and crown of the central Claddagh symbol, all set in rich 14K yellow gold. 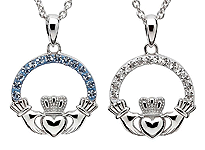 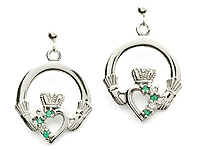 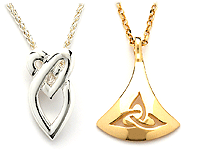 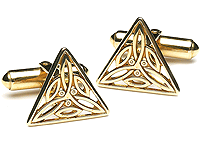 The Claddagh design represents love, loyalty and friendship. 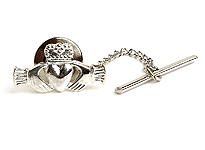 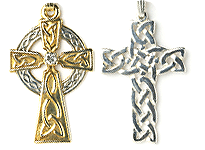 Handcrafted by highly skilled artisans, then tested and hallmarked in the Dublin Assay Office for quality. 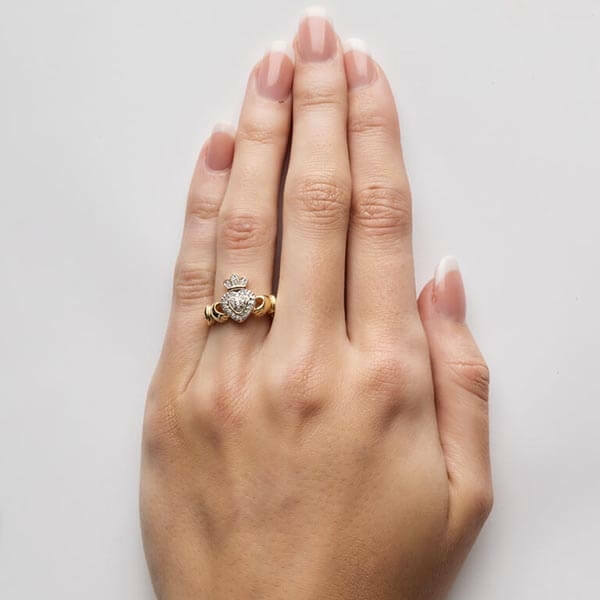 This ring comes with its own luxury presentation box.